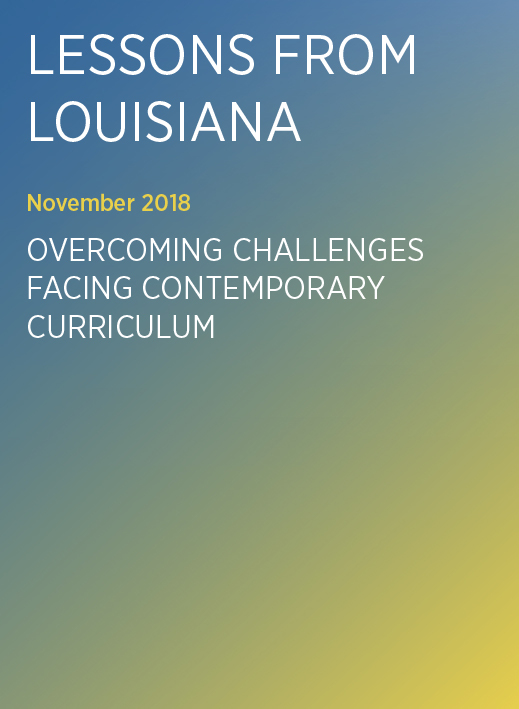 Louisiana, an historically low-performing US state, has introduced a process to enable schools to select quality curriculum and a strategy to support and encourage the teaching of quality curriculum in classrooms across the state. The results are striking, as this case study shows. The research for Overcoming challenges facing contemporary curriculum: detailed case studies was commissioned by the NSW Education Standards Authority. Any reproduction of this research is subject to being accompanied by this acknowledgement.